Selam Airport Shuttle Service provides private shuttle service to and from the San Diego Airport. Why ride shared while you can book a private shuttle for the same price. 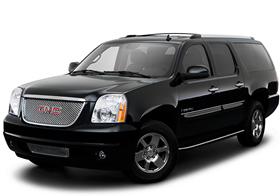 Our Airport Shuttle Service is a fast and economical door to door service. We monitor your flight for any possible delays and ensure timely pickups and dropoffs. With our non-stop airport shuttle you can rest assured to be on time every time. Our luxury sedans can accommodate up to 4 passengers for the price of one. Our Airport Shuttles can accomodate all your extra Luggage? For larger groups or if you have extra luggages we shuttle you in our spacious vans and SUVs. Our private shuttles carry the curbside pick up permit from San Diego Airport and LAX. So, as long as you reserve a car for your arrival we will pick you up at the curbside right in front of your terminal. All of our drivers are professionals with excellent knowledge of the city of San Diego. So feel free to ask any questions regarding your point of interests. Same day and advanced shuttle reservations are equally honored with payment options of cash or credit card. For frequent travelers corporate and personal accounts are welcome with monthly direct billing option. For fast, reliable, and affordable shuttle service in San Diego, try Selam Airport Shuttle . Our professional drivers will help you with your luggage and transport you to your destination quickly and safely. Give us a call or make an online reservation for all your airport shuttle needs.